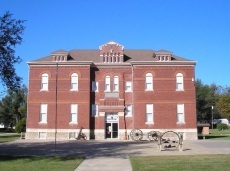 Schuyler Grade School was constructed on the site of the former Osage County Courthouse and named in honor of one of Burlingame’s founders and most important community leaders – Philip Church Schuyler. 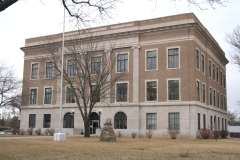 He donated the lots upon which the first courthouse was erected. 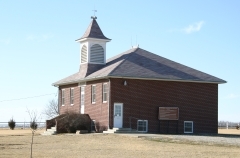 After the county seat was moved to Lyndon, the school district purchased the property to construct a school at that location. The two-story Romanesque-style brick building was built by J. F. Mehl in 1902, and the first classes were held in January 1903. The school was expanded with a rear addition in 1955. 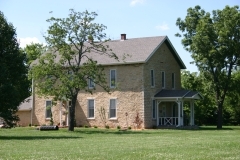 Two detached buildings were added in the 1970s. 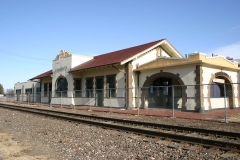 The building functioned as a school until 2001 when the Burlingame Historical Preservation Society organized and acquired the building. 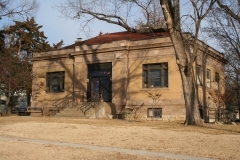 It was nominated as part of the “Historic Public Schools of Kansas” multiple property submission for its local significance in the areas of education and architecture.